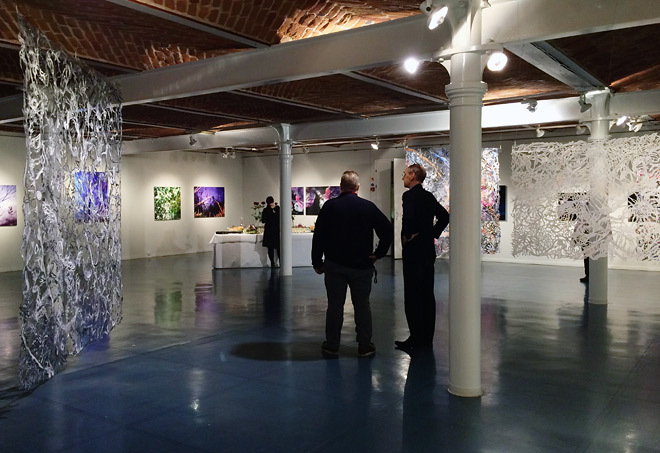 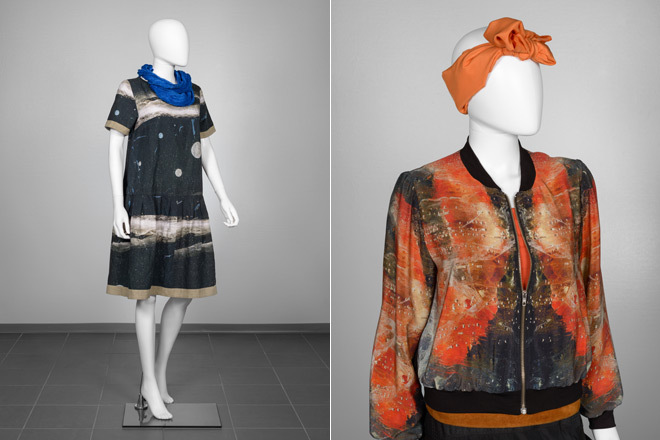 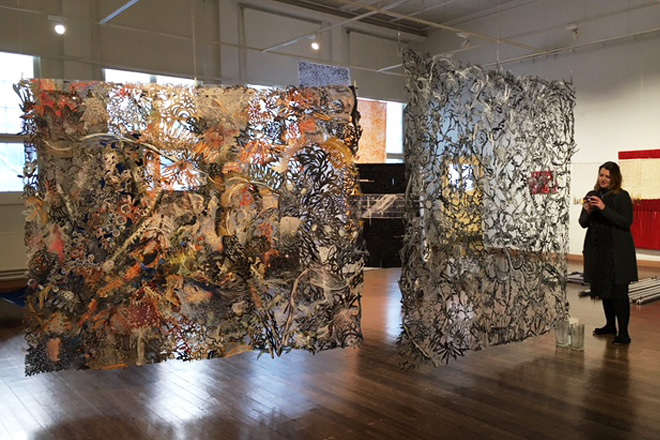 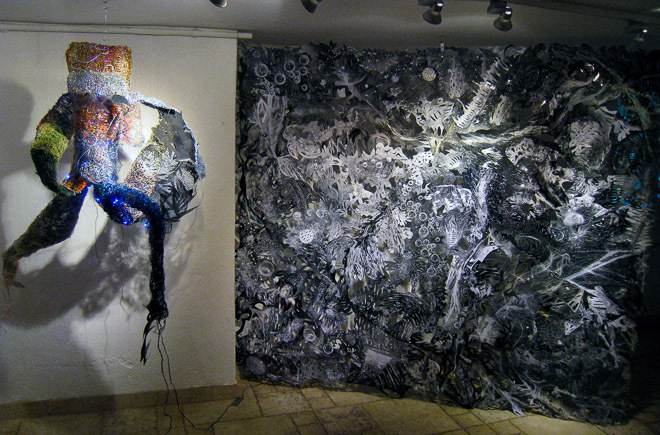 Examples of earlier works in personal and co-operative exhibitions. 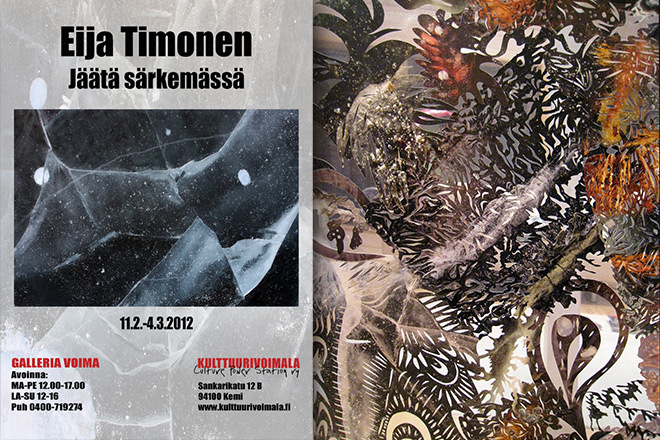 Eija Timonen and Jenni-Liisa Yliniva in group exhibition Ystävällisesti teidän, Sincerely Yours, curated by Henna Harri. 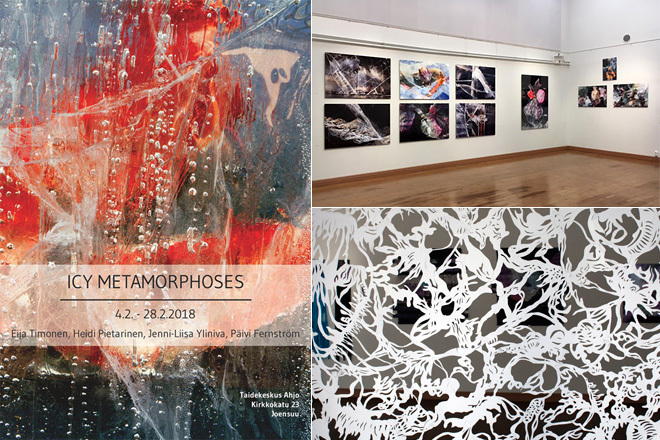 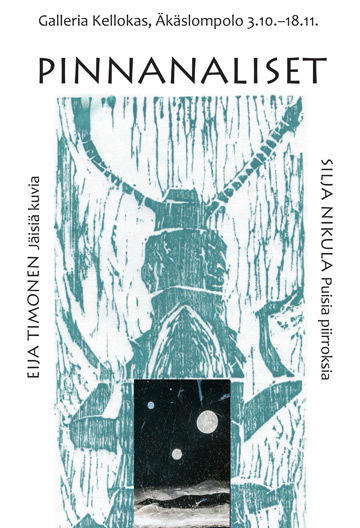 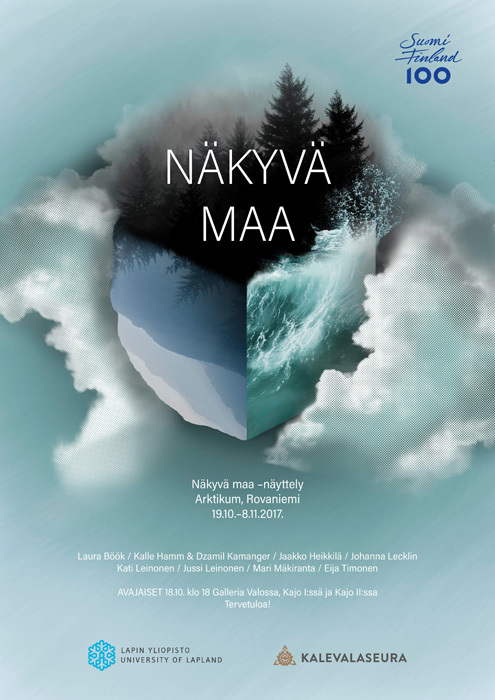 Exhibition poster designed by Meri Heikkilä. 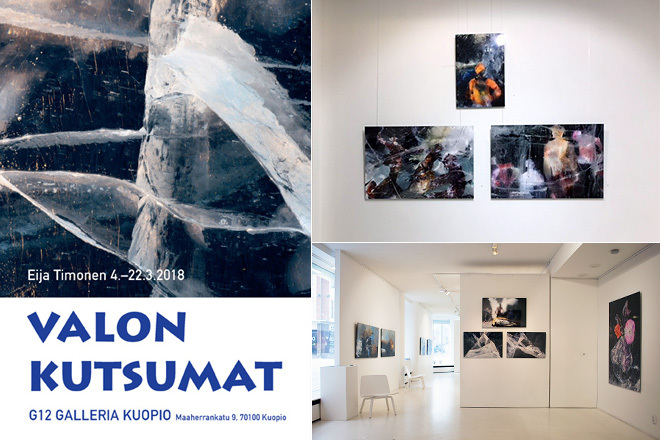 Photo by Jussi Leinonen 2017. 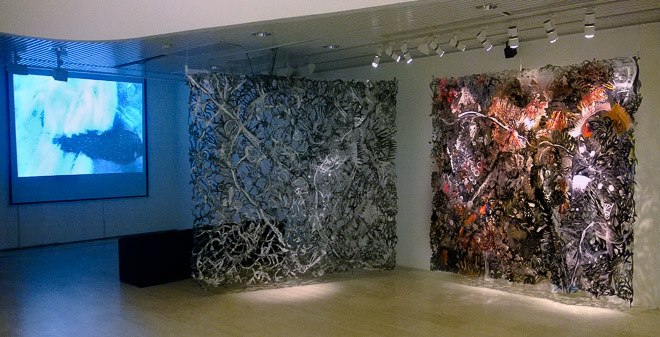 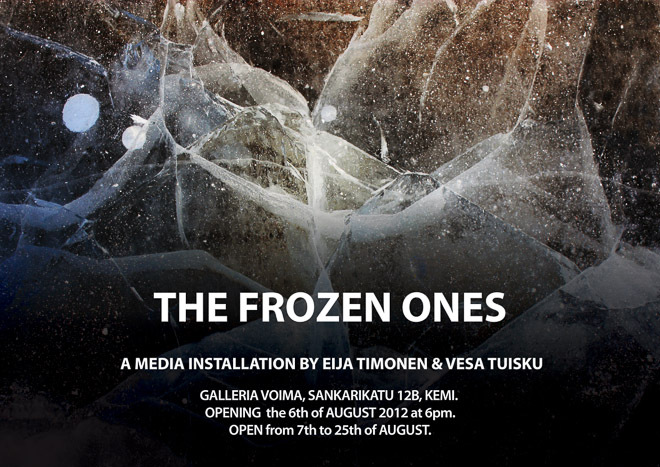 A media installation by Eija Timonen and Vesa Tuisku. 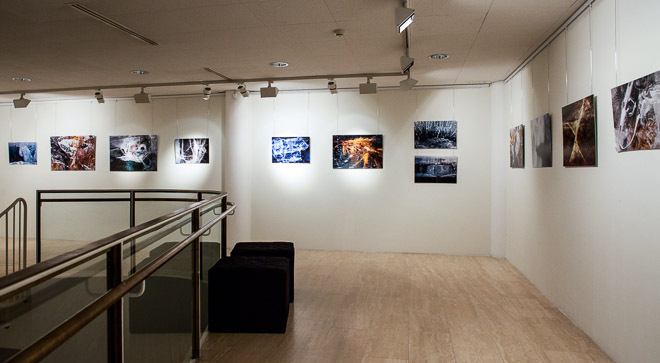 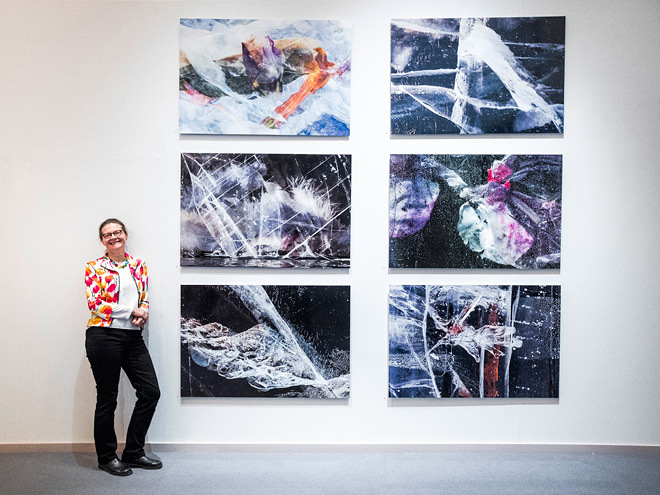 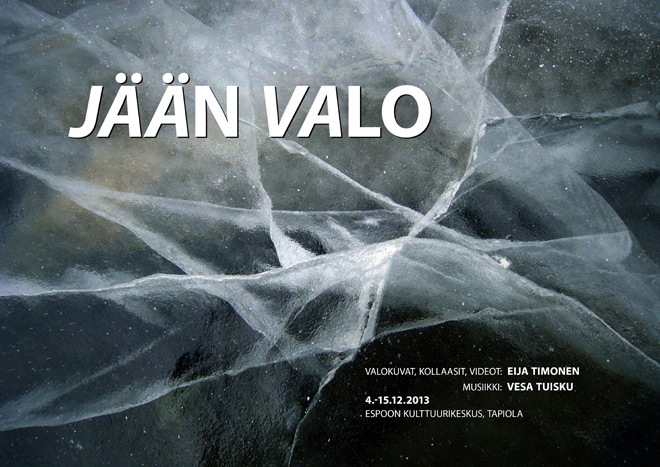 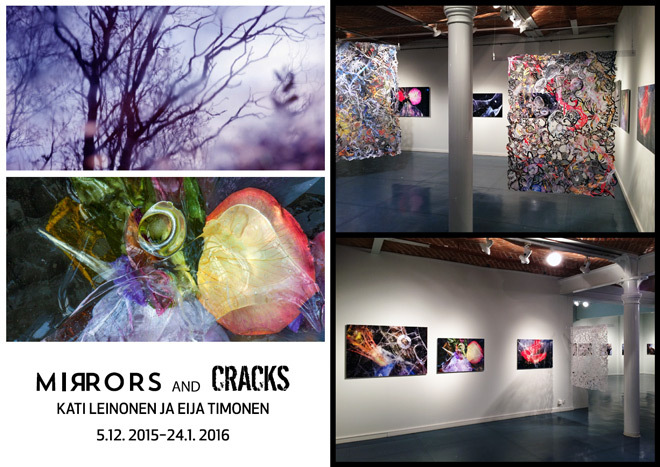 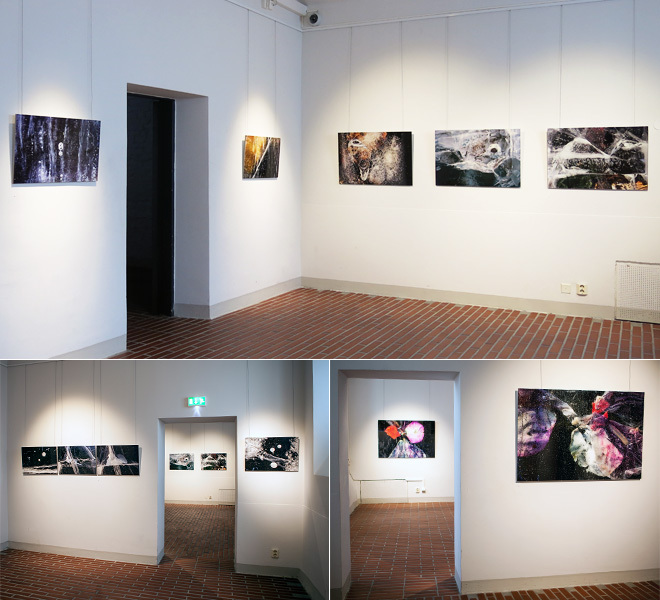 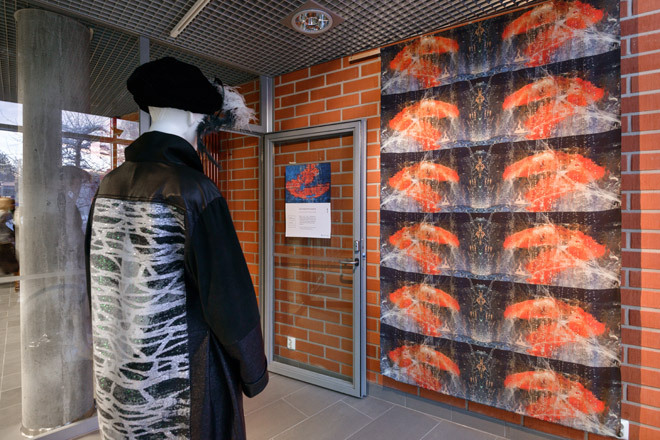 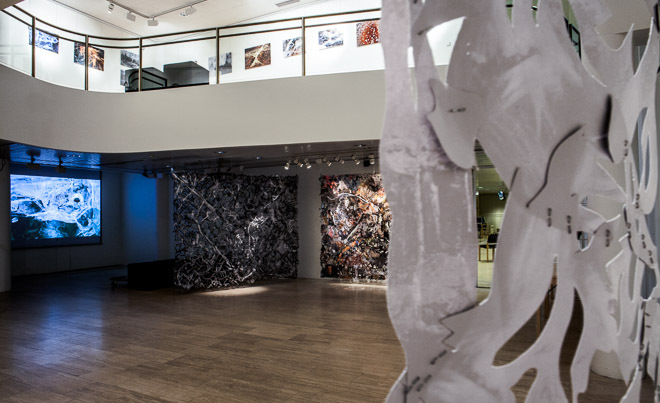 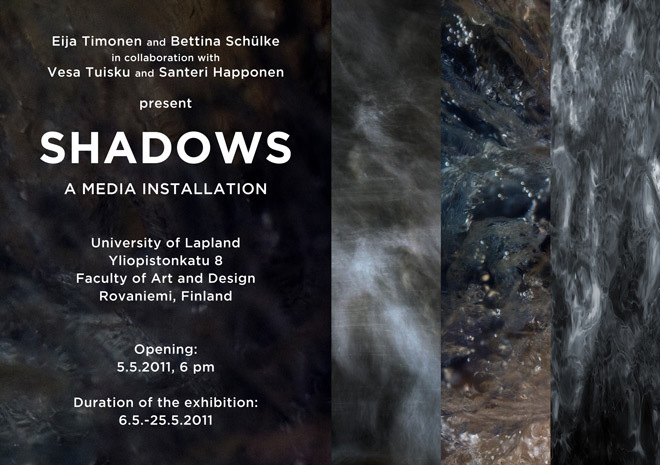 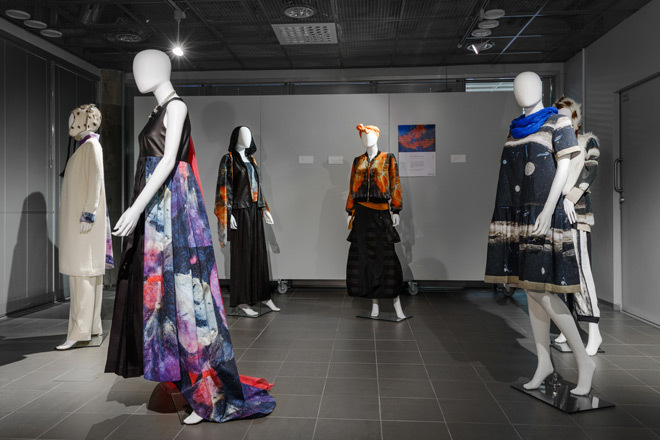 A multimedia installation by Eija Timonen and Bettina Schülke in collaboration with Vesa Tuisku and Santeri Happonen. 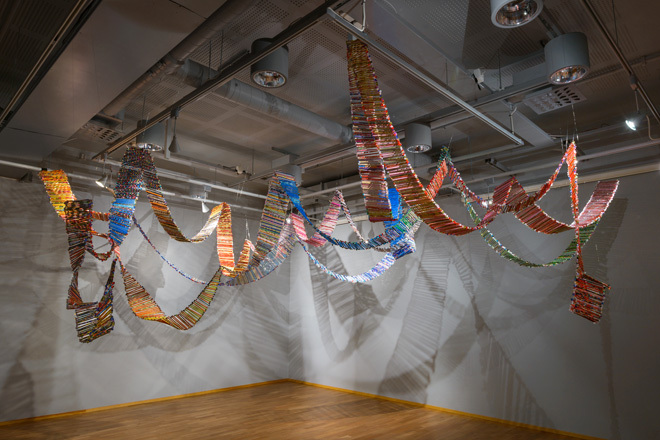 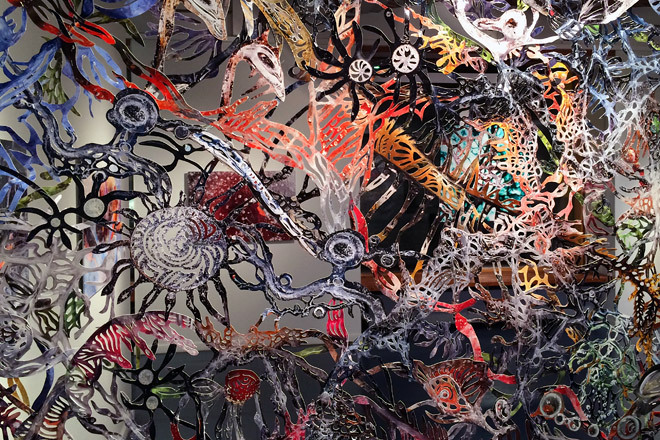 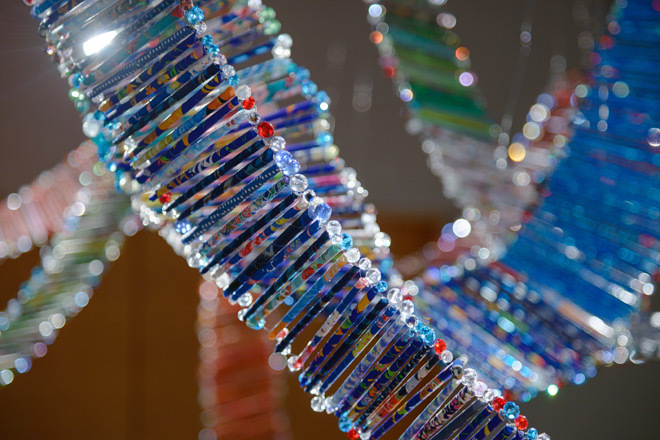 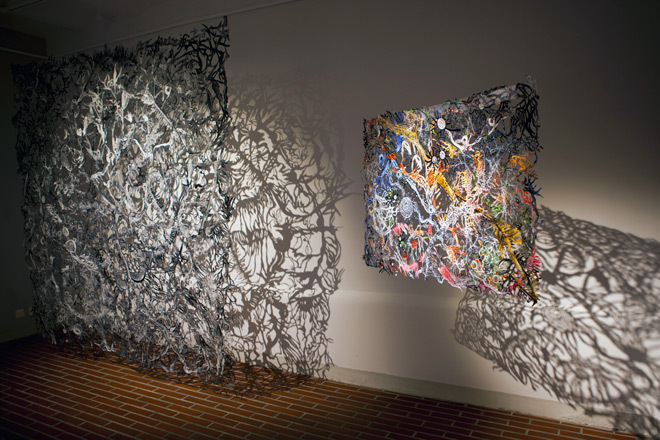 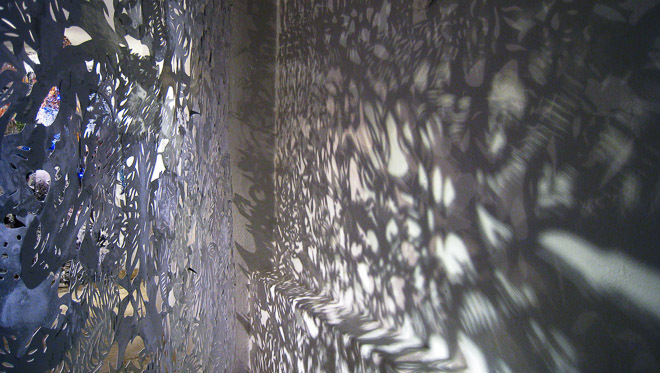 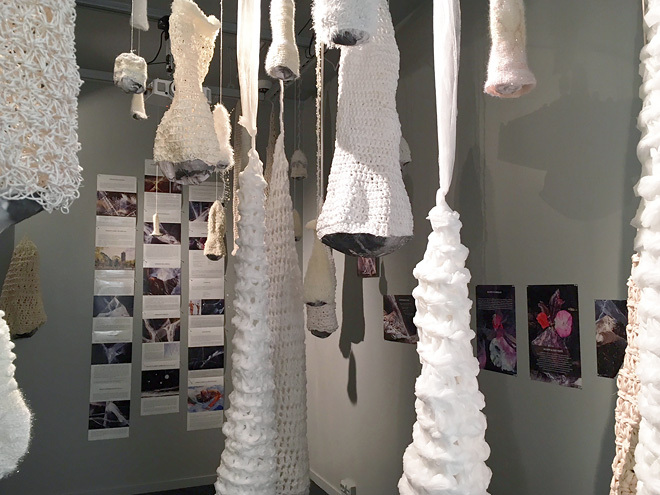 An installation by Eija Timonen and Bettina Schülke. 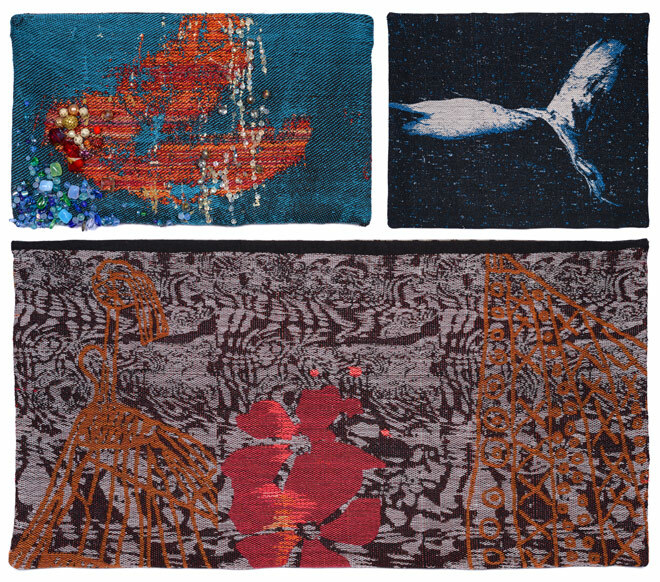 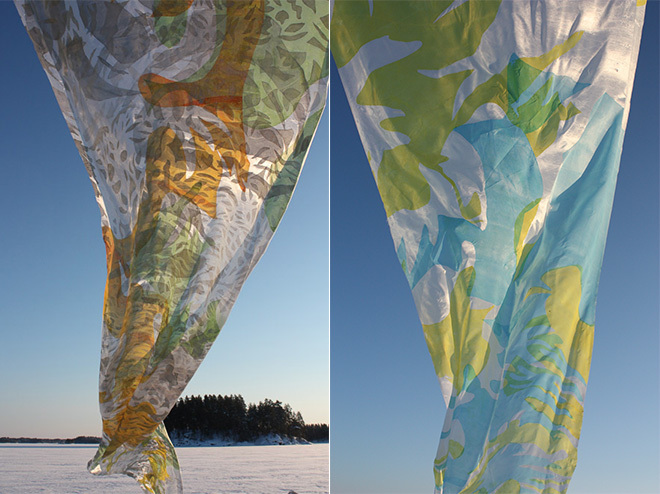 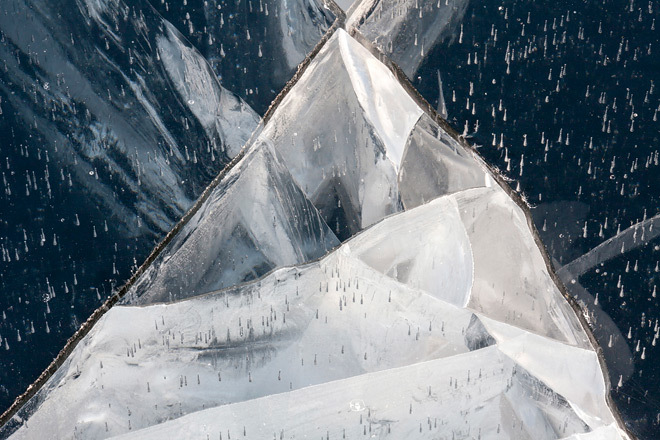 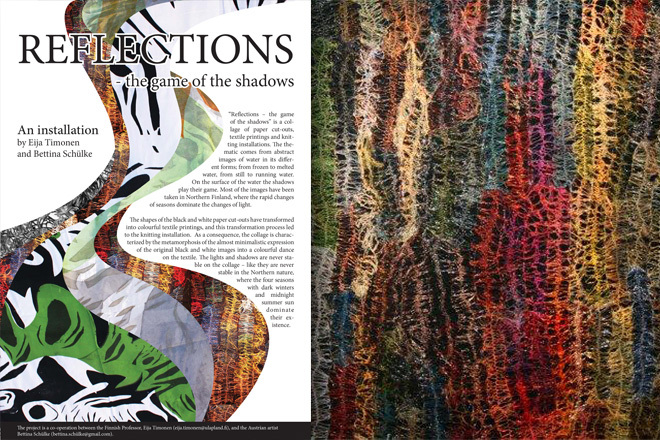 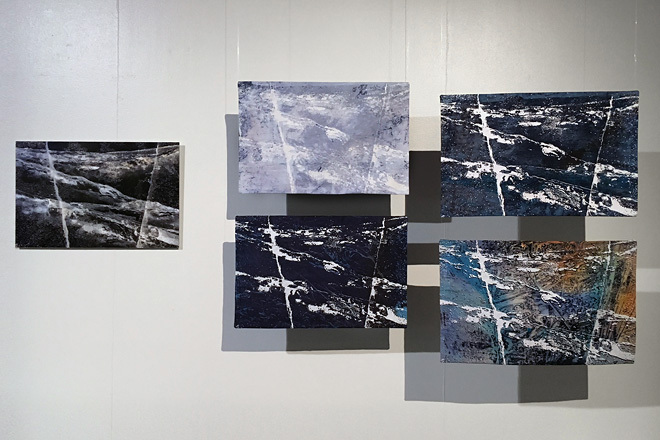 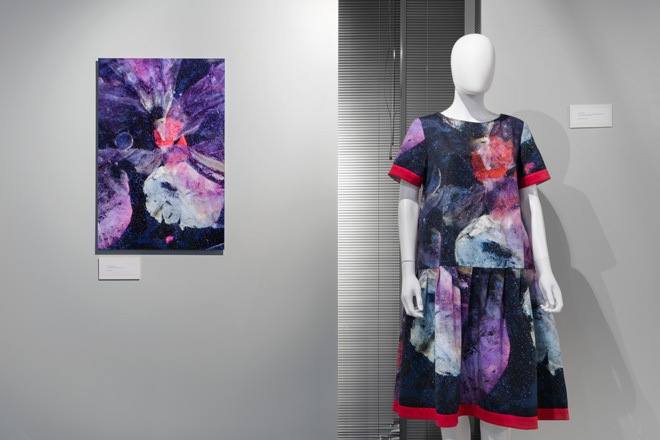 Details from The Frozen River and The Spring Ice (printed textiles by Bettina Schülke and Eija Timonen). 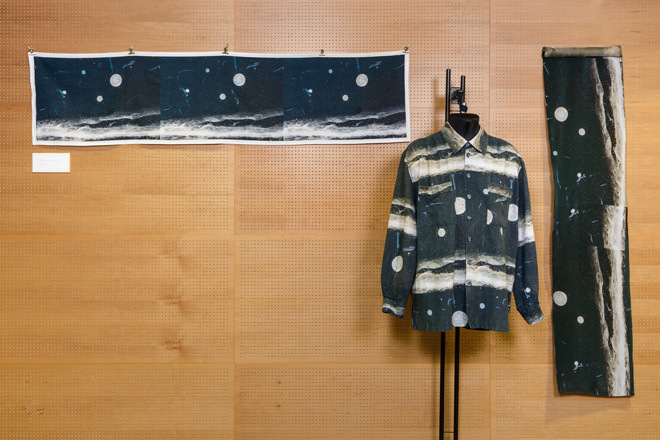 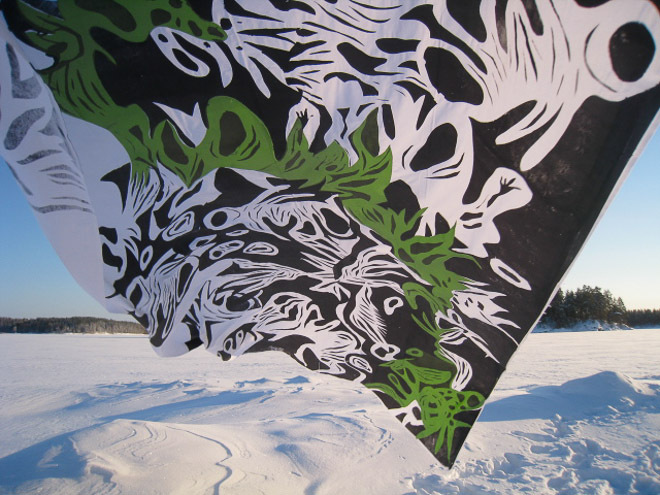 Detail from The Winter Night (printed textile by Bettina Schülke and Eija Timonen).